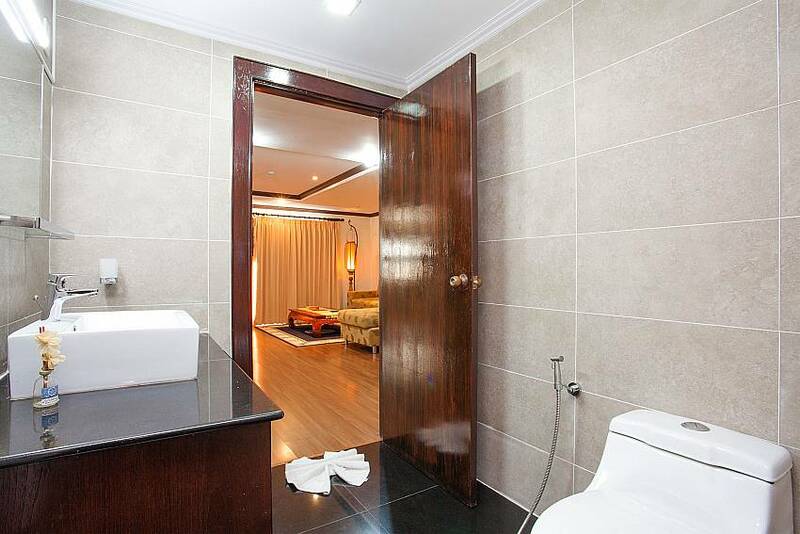 Situated in the heart of Jomtien, this 2-bedroom apartment is ideally located for the most convenient holiday experience. 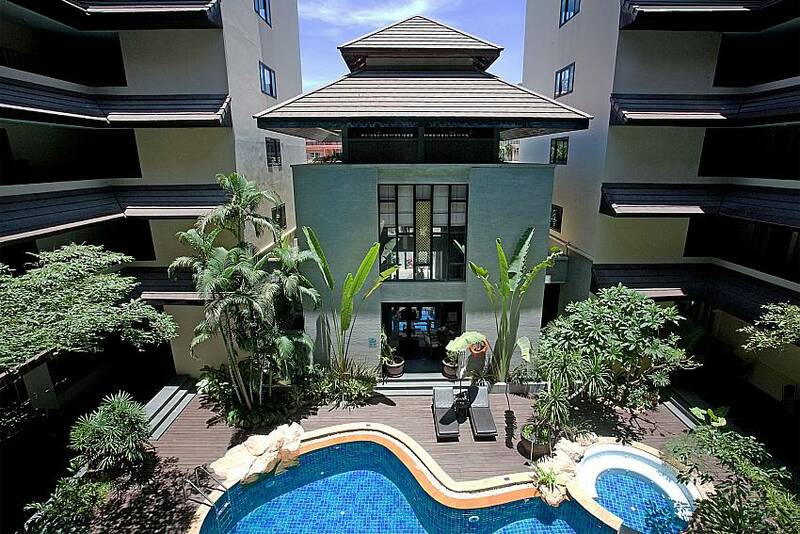 This stunning property is situated near Pratumnak Hill in one of the most desirable condo developments in Pattaya with a communal swimming pool and onsite facilities. 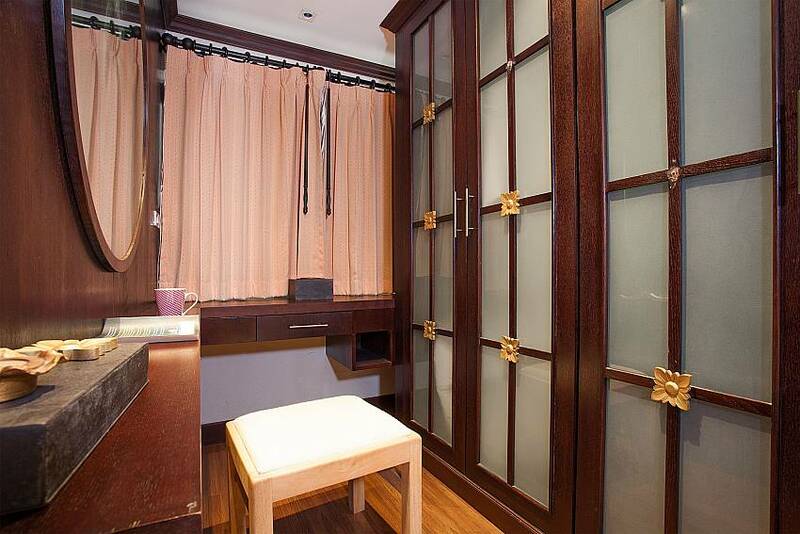 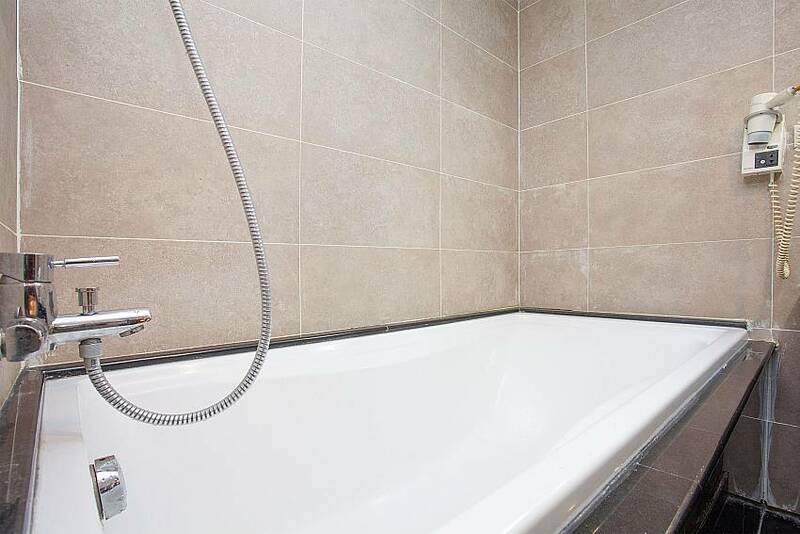 Modern and stylish, this 2-bed apartment is a prime choice. 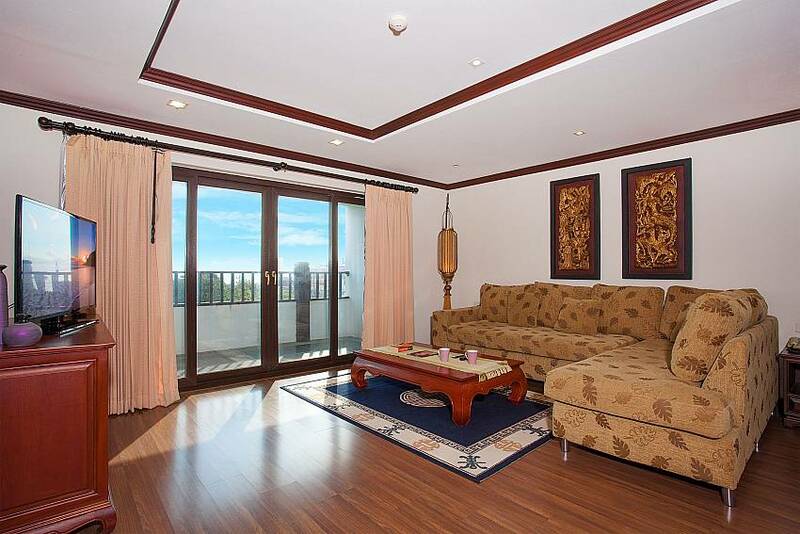 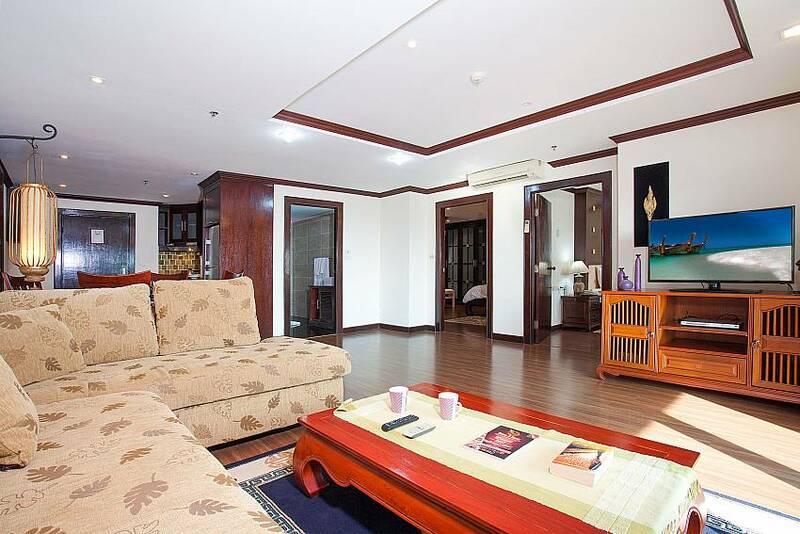 Sat in one of the best locations for a 5-star holiday in Pattaya, this ultra-luxurious 2-bedroom apartment basks in one the most prestigious apartment complexes in the region. 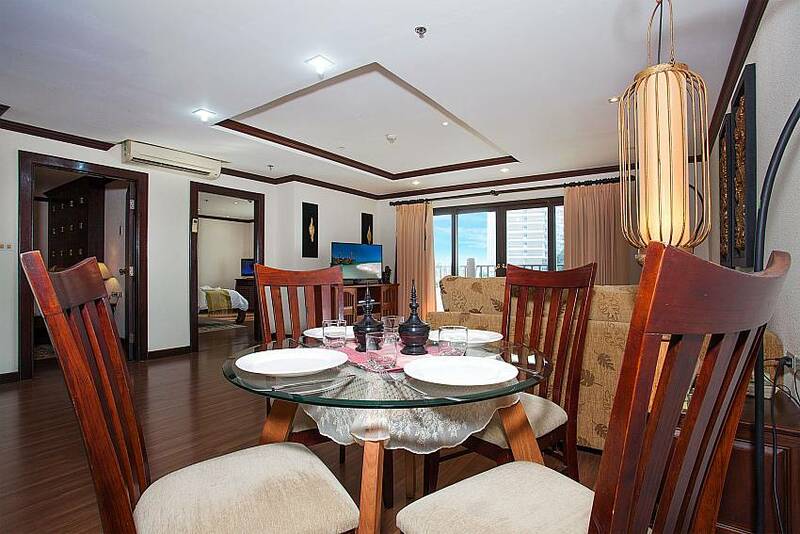 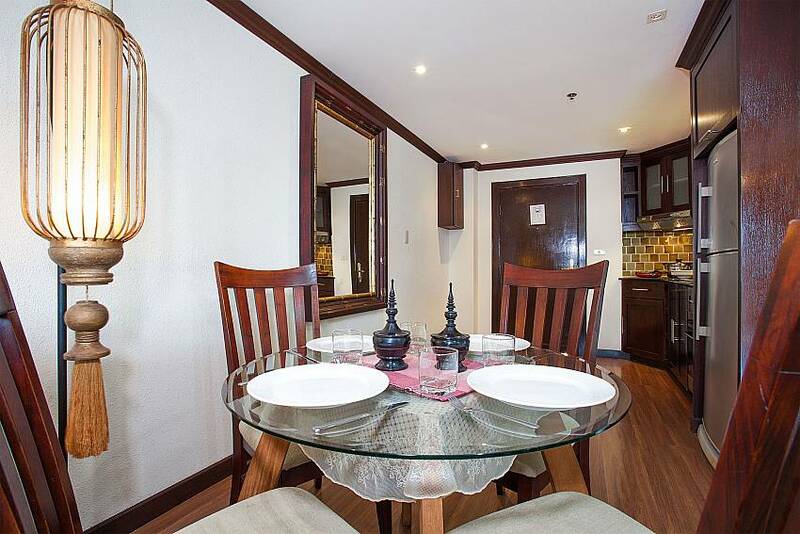 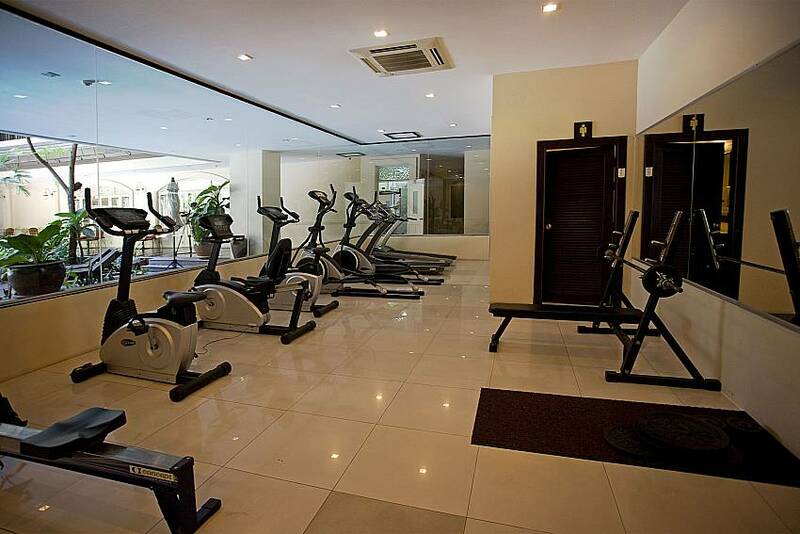 Coming equipped with an earth-shattering choice of communal facilities that include a swimming pool, the Mata Hari Restaurant, a fitness center, and 24-hour security, this apartment’s atmosphere is similar to that of a 5-star hotel. 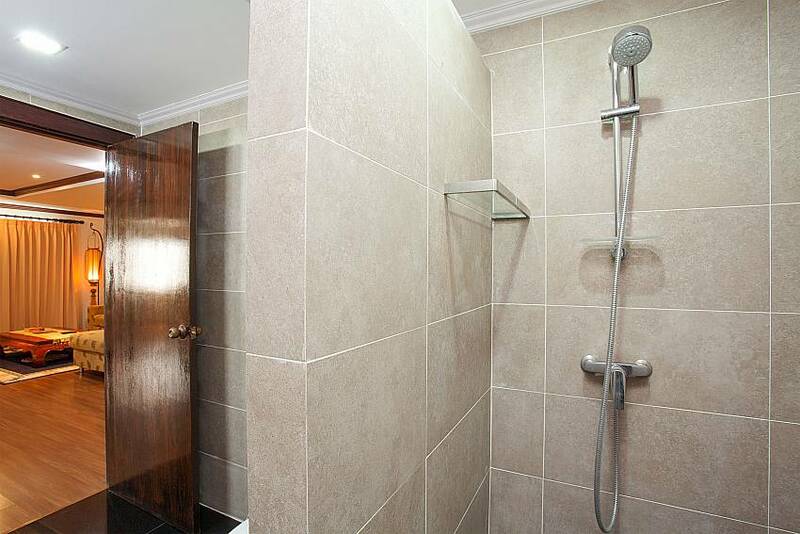 The luxury and modern interior of this 2-bed apartment provides a stunning respite from the hustle and bustle of the city. 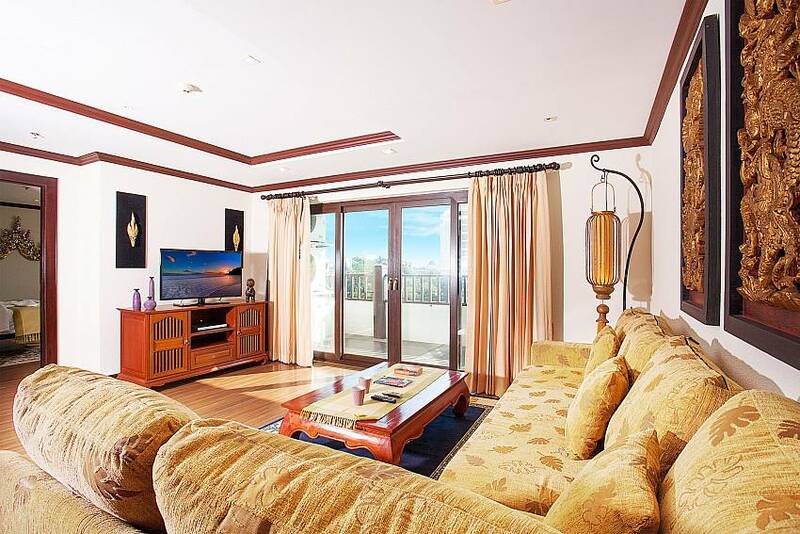 Sleeping up to 4 people, this apartment enjoys a lounge with a flat-screen TV with international channels, wooden floors, hardwood furnishings, a DVD player, a comfortable sofa, a 4-seat glass dining table and a balcony. 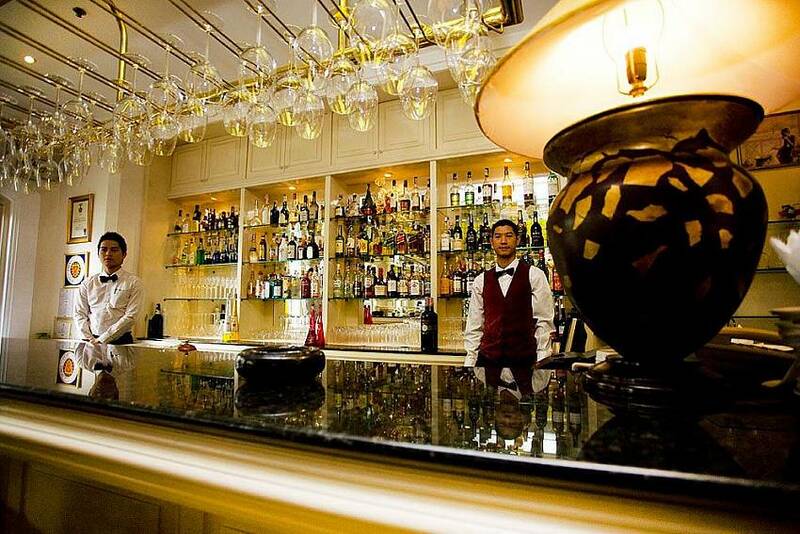 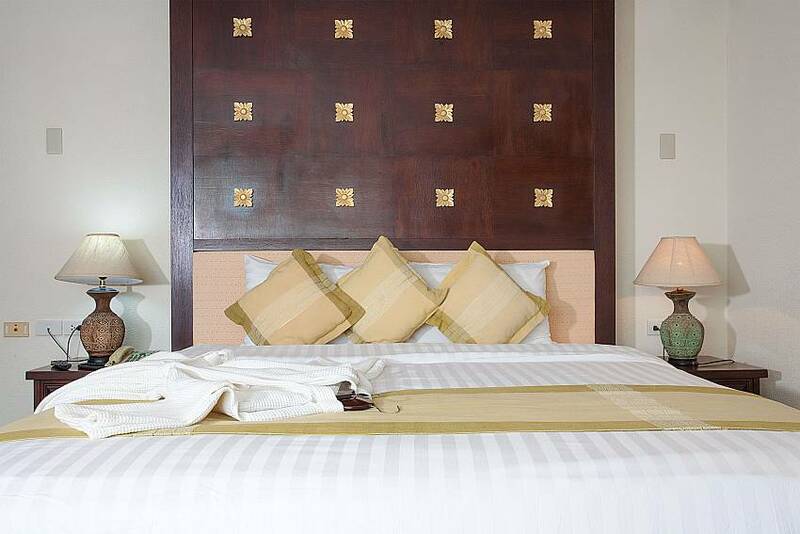 The authentic Asian décor compliments that special Pattaya holiday experience. 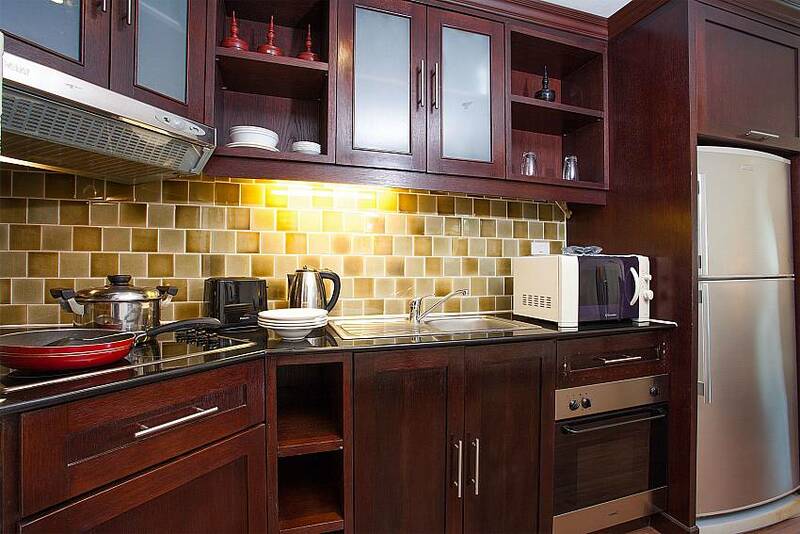 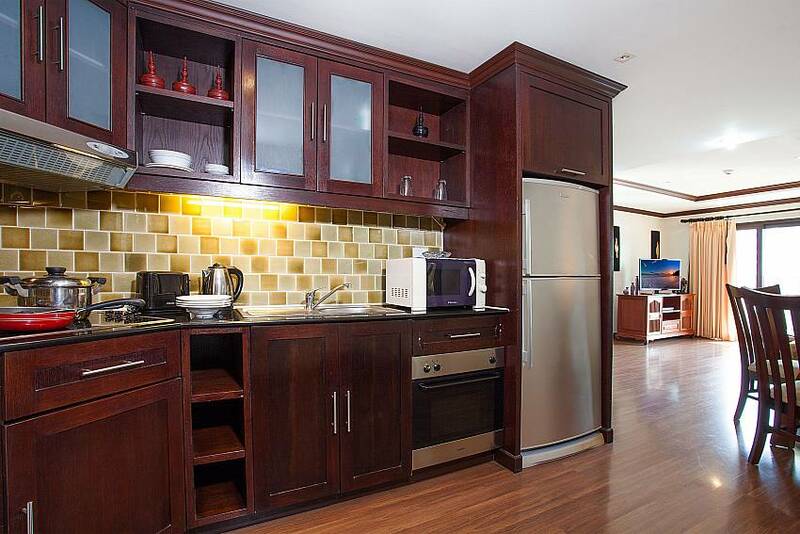 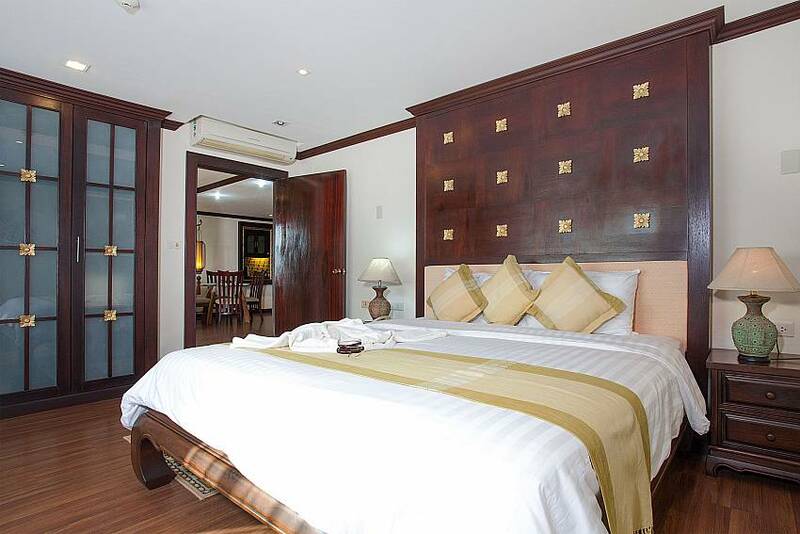 The 2-bedrooms have king-size double beds and televisions. 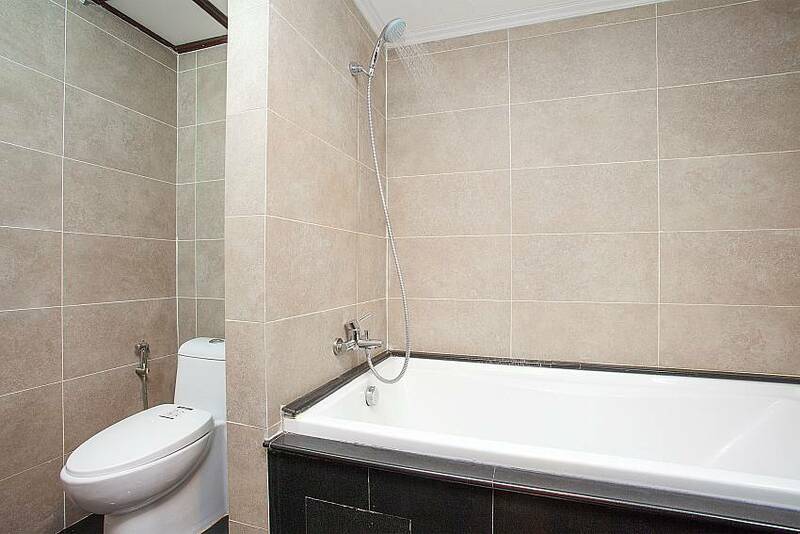 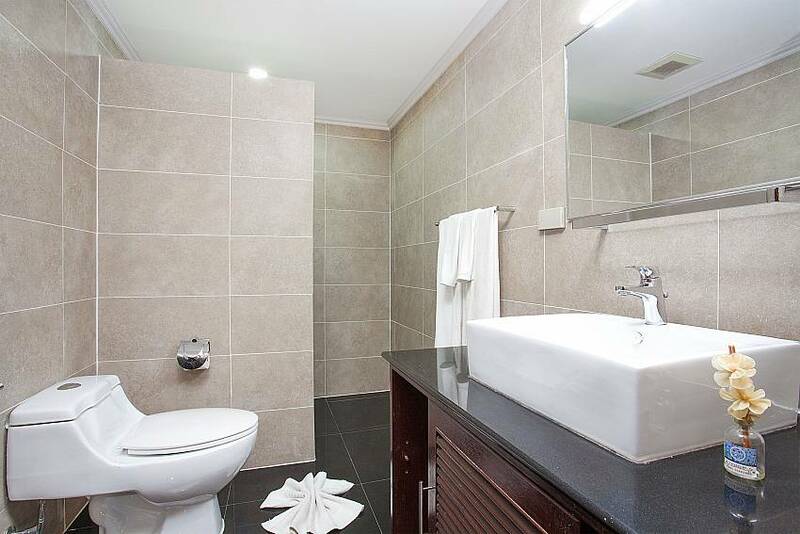 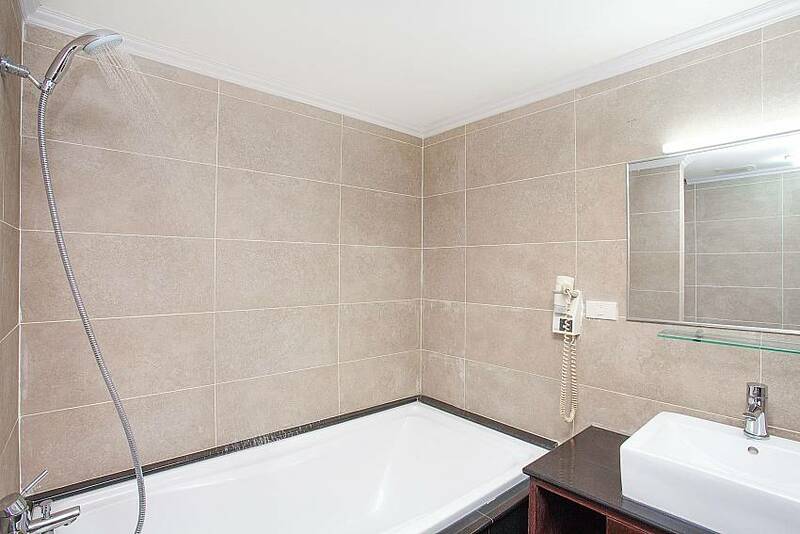 There are 2 bathrooms in total, one of which is ensuite to the master bedroom and comes equipped with a bathtub and hairdryer. 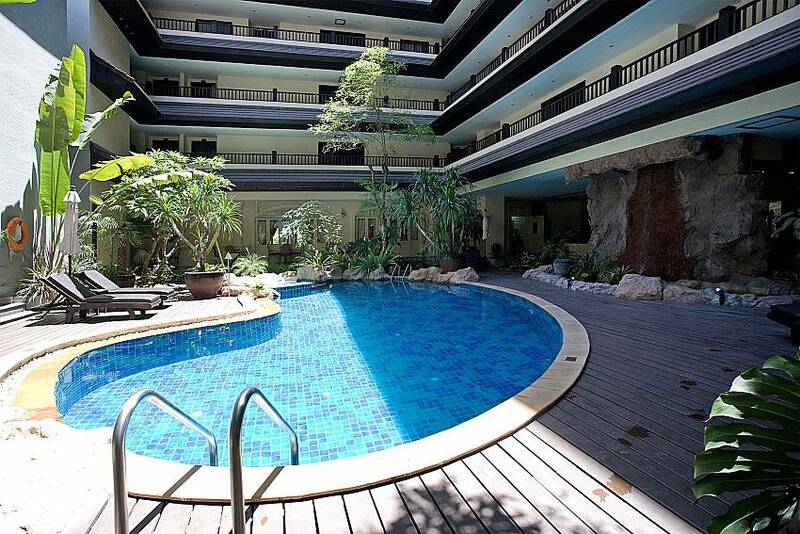 This 2-bedroom apartment sits in a popular development 1.5km to Jomtien Beach with a wide choice of 5-star communal facilities. 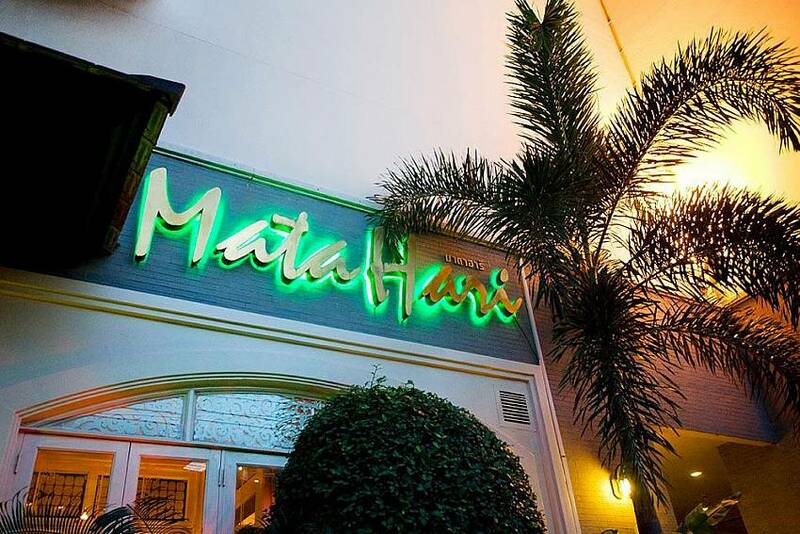 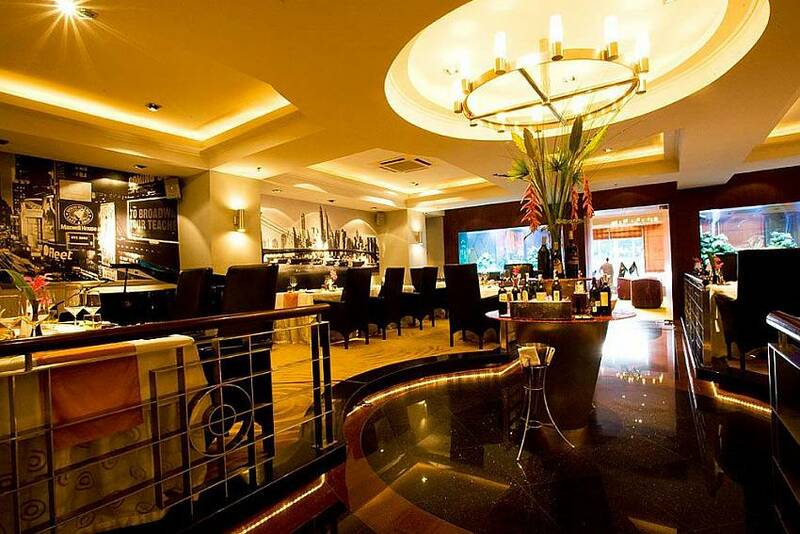 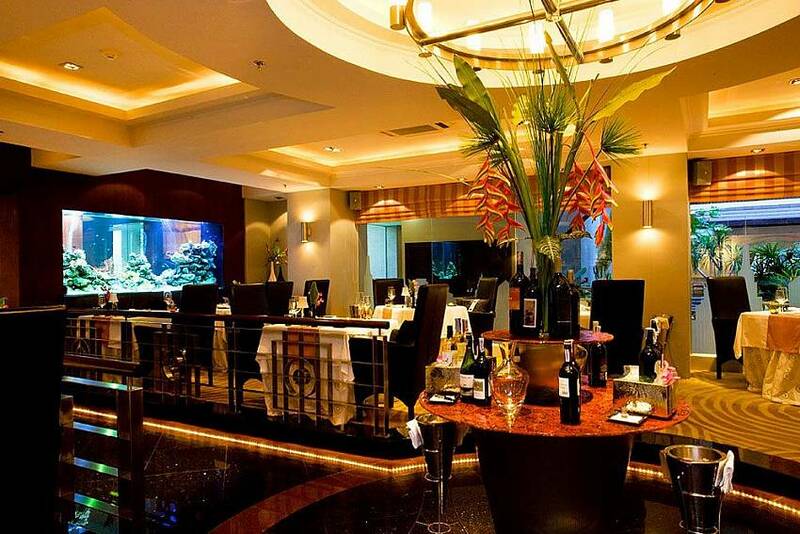 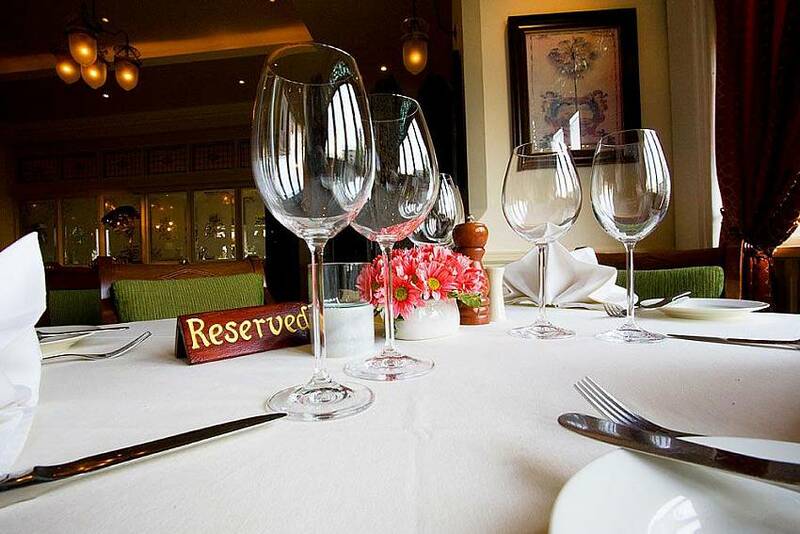 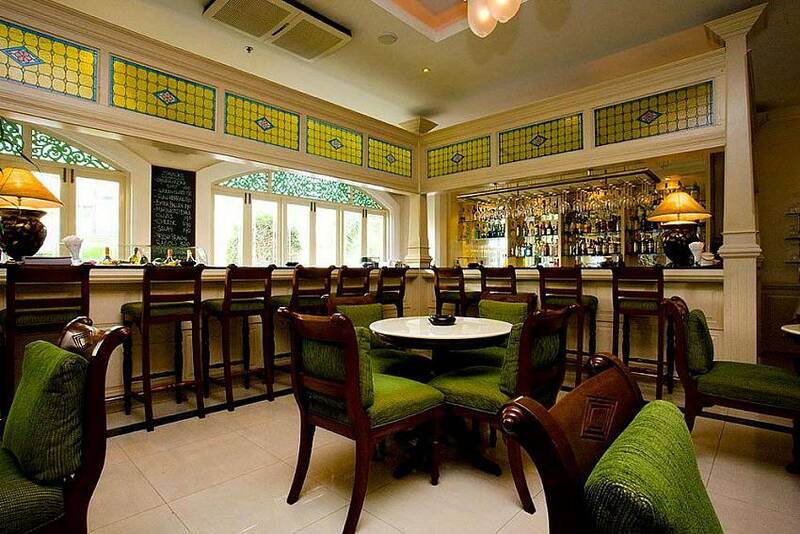 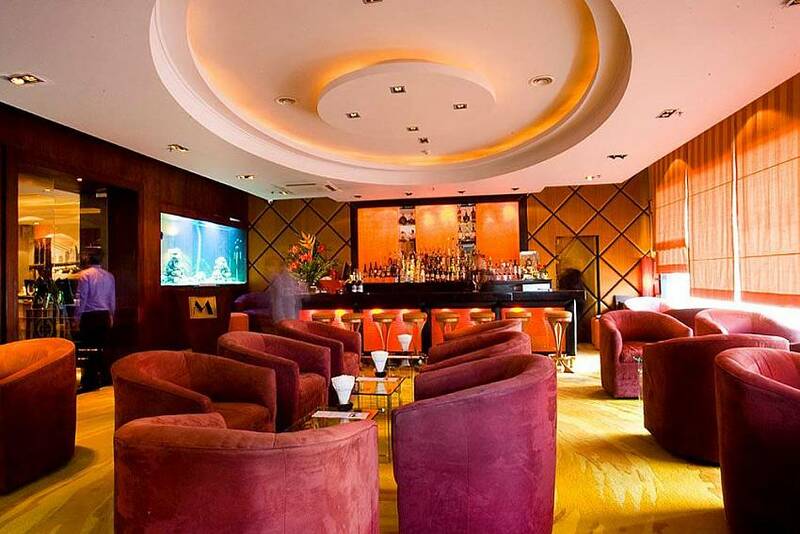 With the famous Mata Hari Restaurant as part of the development, and with many eateries within a 5-minute walking distance, this is a central location. 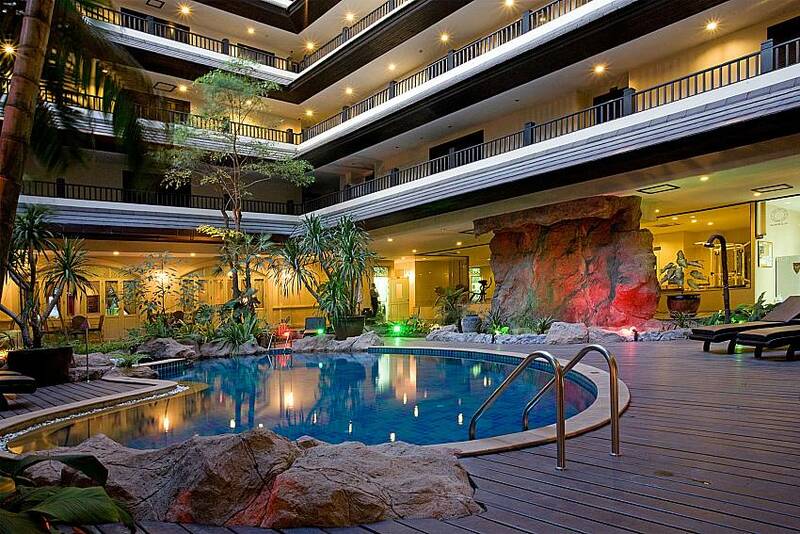 The development is also within walking distance of Pattaya Park and the Big Buddha Temple on Pratumnak Hill and just a 2-minute drive to the back-end of Walking Street. 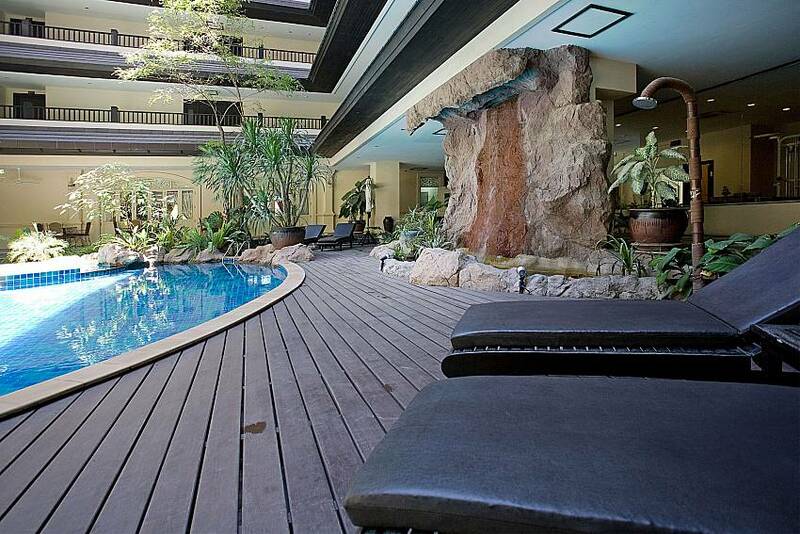 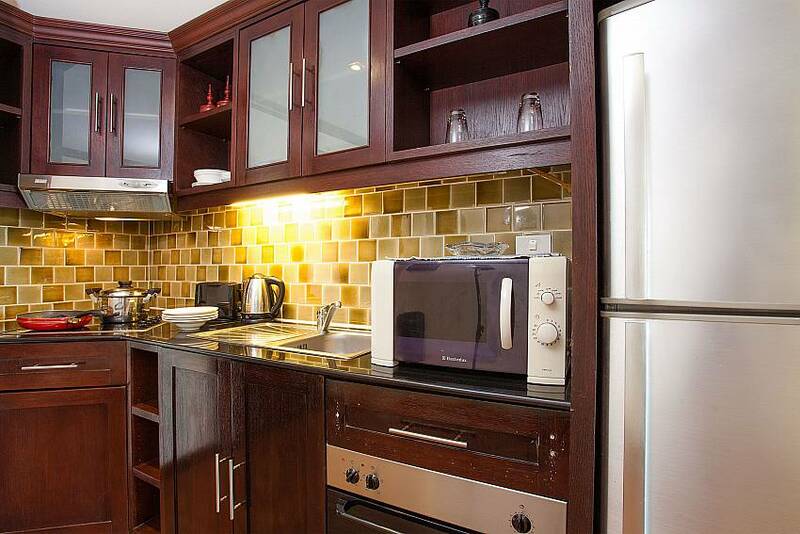 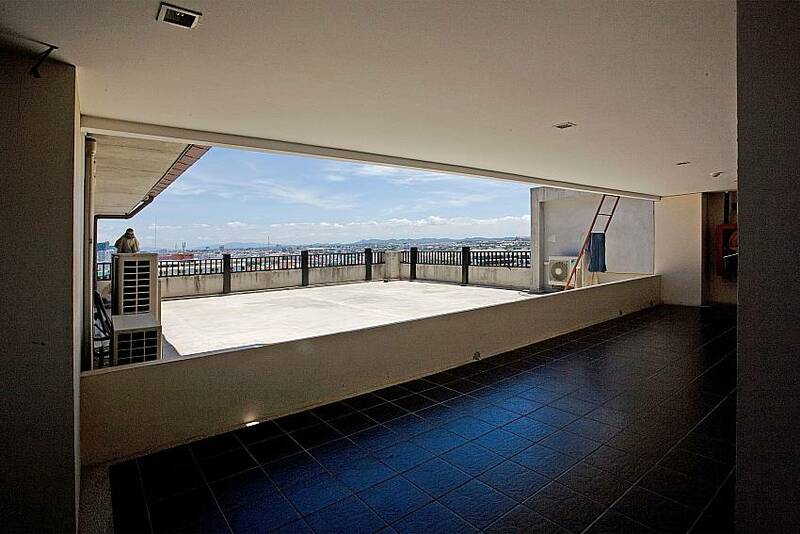 Click here to view all our exclusive Pattaya rentals. 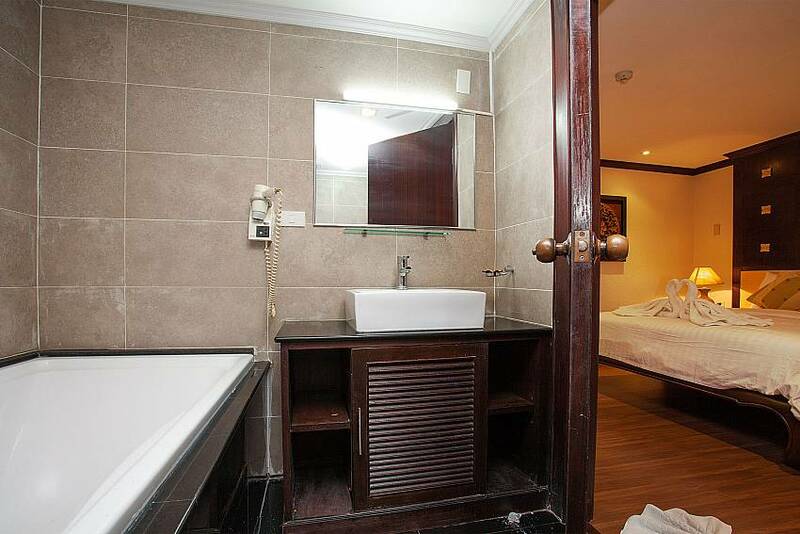 Bookings of less than 30 Nights, Please make an Enquiry. 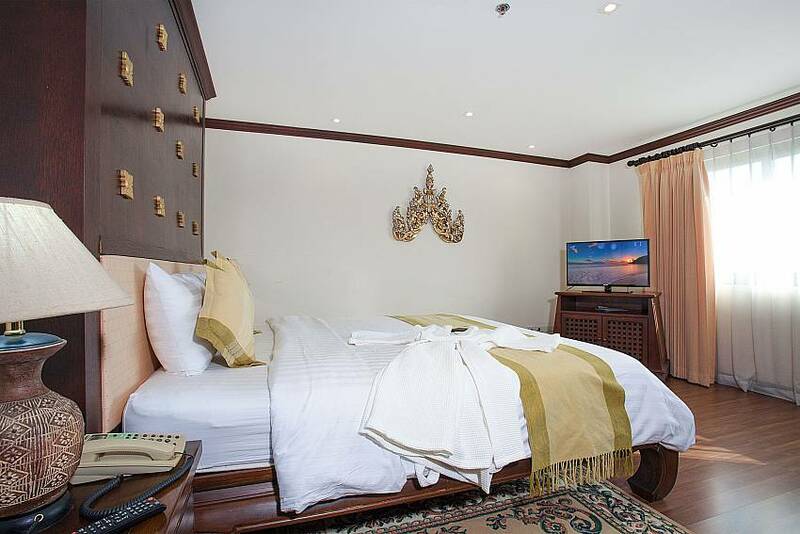 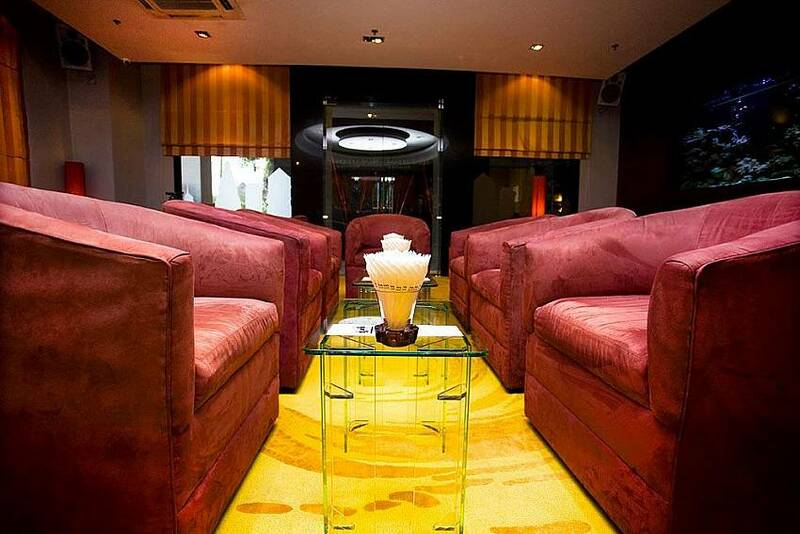 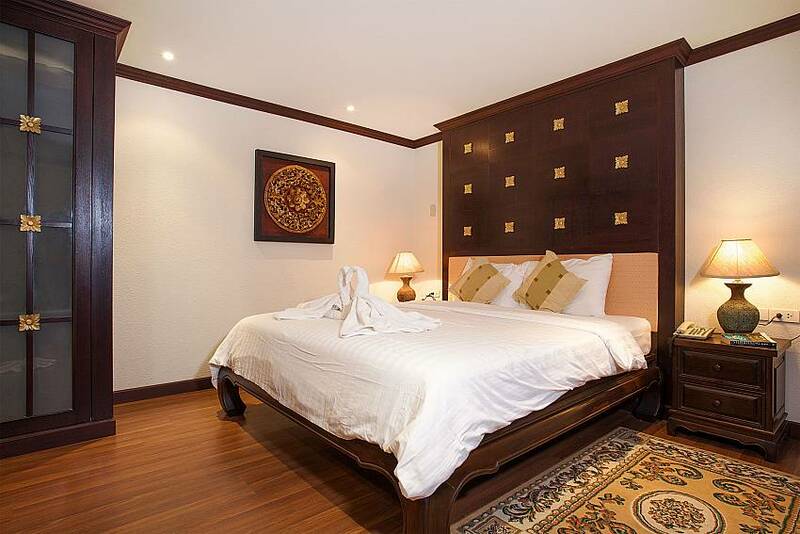 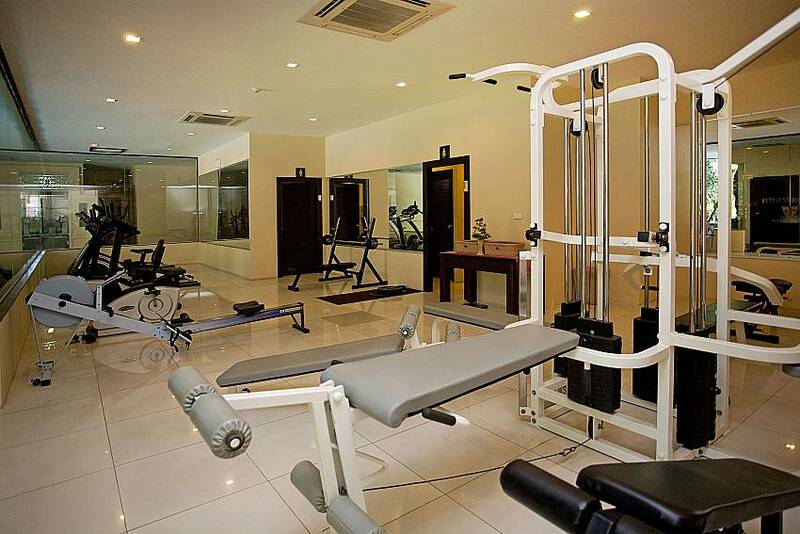 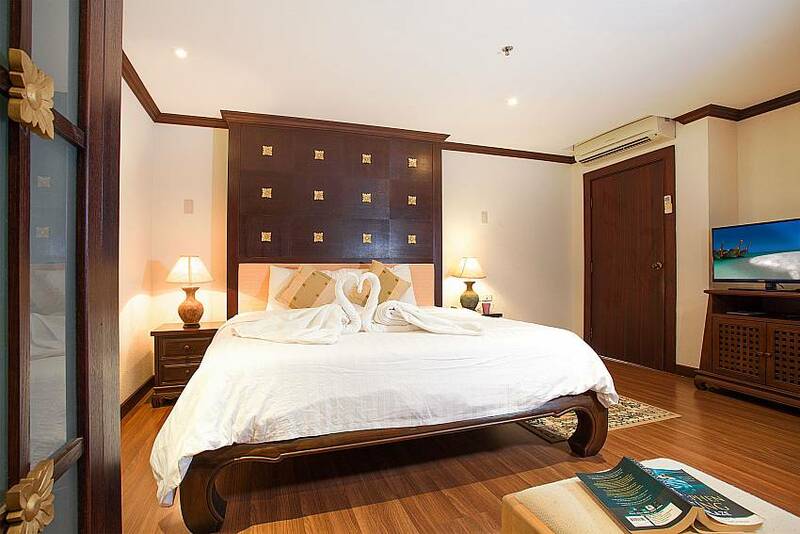 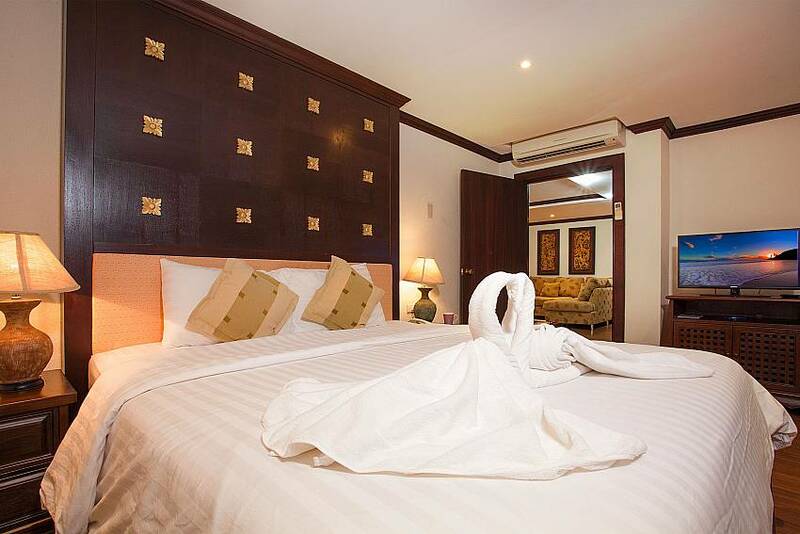 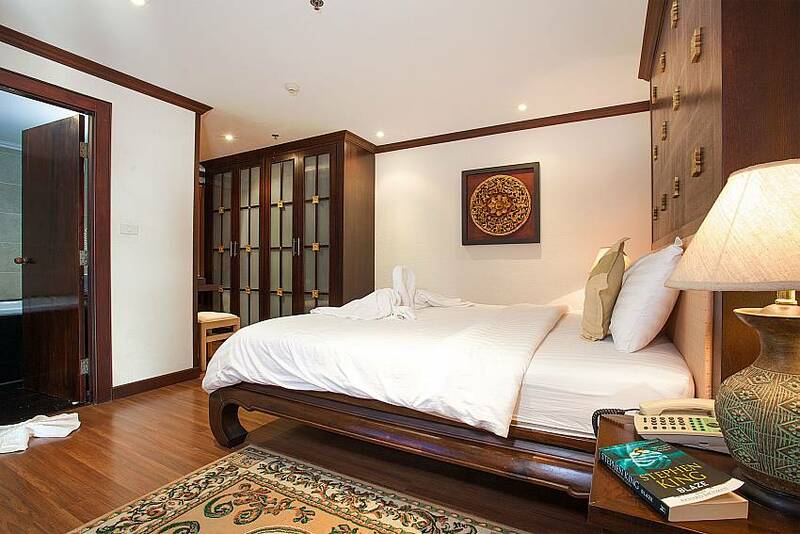 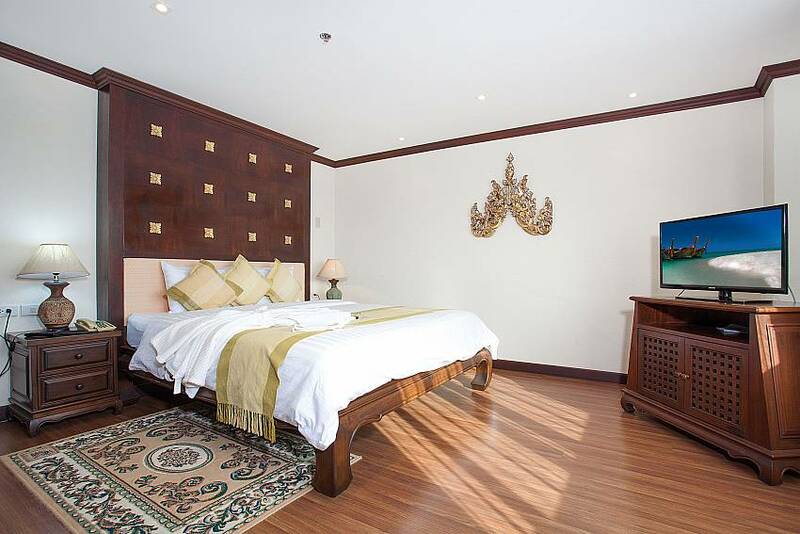 "A comfortable and clean place to stay with easy access to the attractions of Pattaya "